Marvel Reveals Three New Infinity Warp Characters! 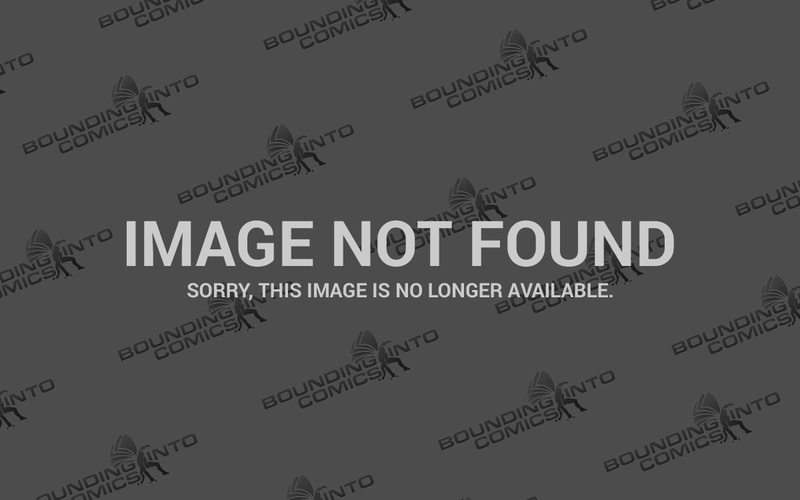 Marvel Comics’ big event series of the summer Infinity Wars is getting that much bigger with a number of smaller series called Infinity Warps. A couple of weeks ago, Marvel revealed the first two Infinity Warps series with Infinity Wars: Iron Hammer and Infinity Wars: Soldier Supreme. Infinity Wars: Iron Hammer will be a two-part series written by Al Ewing with art by Ramon Rosanas and a cover by Humberto Ramos. 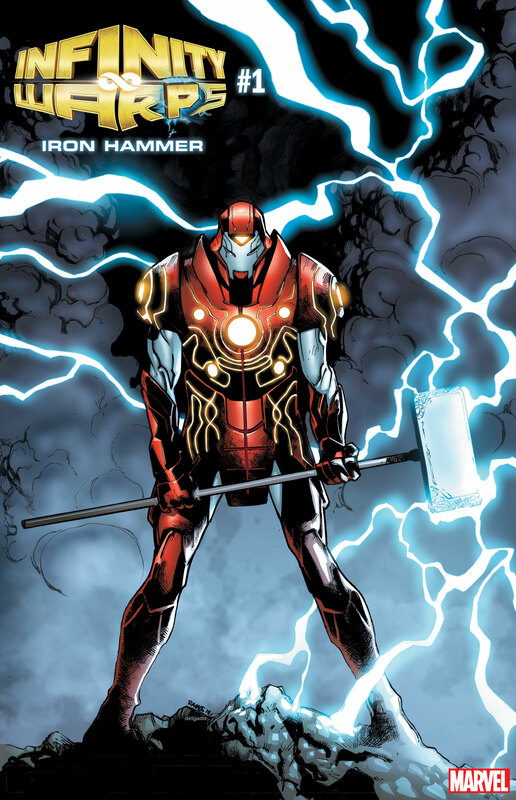 The series will star a mashed up Iron Man and Thor character called Iron Hammer. In similar fashion Infinity Wars: Soldier Supreme will see a mash up of Doctor Strange and Captain America. It will be written by Gerry Duggan with art by Adam Kubert and a cover by Humberto Ramos. It will also be a two part series. Now, Marvel has released three more Infinity Warp series. Infinity Wars: Weapon Hex will also be a two part series. It will be written by Ben Acker and Ben Blacker with artist Gerardo Sandoval. The character will first appear in Infinity Wars #3. It appears to be a mash up between Wolverine and Scarlet Witch. Next up is Infinity Wars: Archknight which appears to be a mashup of Spider-Man and Moon Knight. It will be written by Max Bemis and will also appear for the first time in Infinity Wars #3. No artist has been announced at this time. It will also be a two part series. Finally, there will be a Black Panther and Ghost Rider mashup called Infinity Wars: Ghost Panther. The character will first appear in Infinity Wars #3. No writer or artist has been announced. What do you think about this new mini series? Do they pique your interest? What kind of reality warping power do you think we will see?